Brewing pour over coffee is as much about the ritual as it is the result. In Vietnam, grabbing coffee is an unspoken agreement to sit down, take your time, and enjoy the brewing process. Vietnamese cafes encourage easy conversation and unhurried appreciation of the dark, thick coffee that drips through small metal filters called phins. 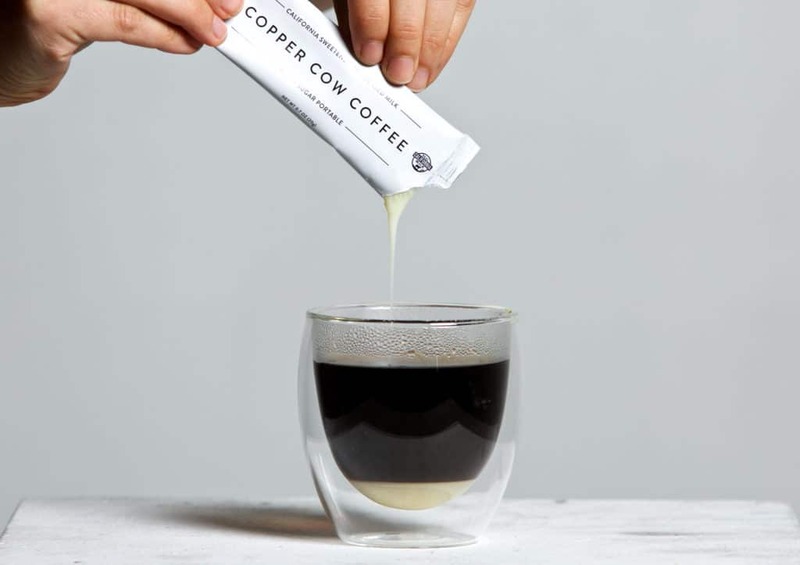 Copper Cow Coffee’s single-use filter mimics the design of the traditional Vietnamese phin, but comes pre-filled with coffee grounds and is fully compostable, making it easier to carry and use while on the move. With a portable pour over, you can create a moment of ritualistic relaxation anywhere, at any time. Tear open the top of one filter along the perforated edge. 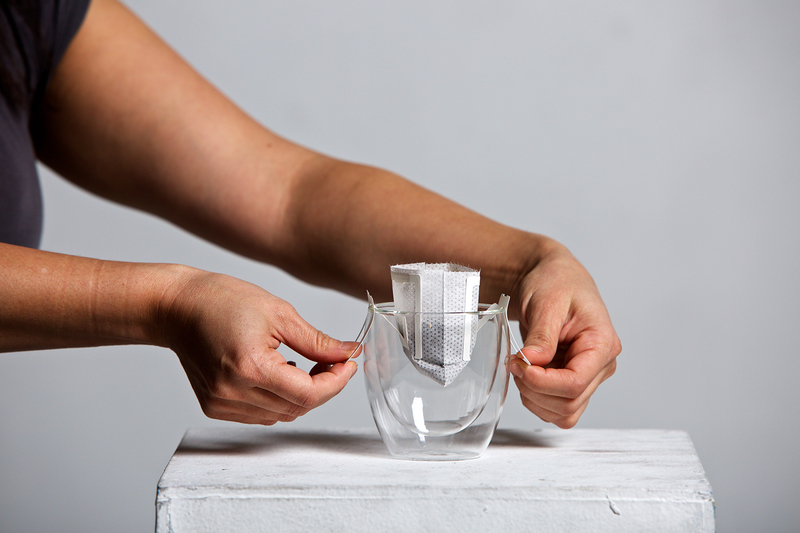 Gently pull on the collapsible wings until they’re wide enough to hook over the sides of your mug. Ensure that the folds of both wings are snug against the rim. Pour 1 oz of boiled water over the grounds, saturating them fully. Let the filter rest for about 15-30 seconds. This step requires a bit of patience, but will dramatically affect the quality of the coffee; you are allowing the grounds to bloom. As the coffee “blooms” the grounds will release gases that would otherwise prevent water from making contact with the maximum amount of surface area. 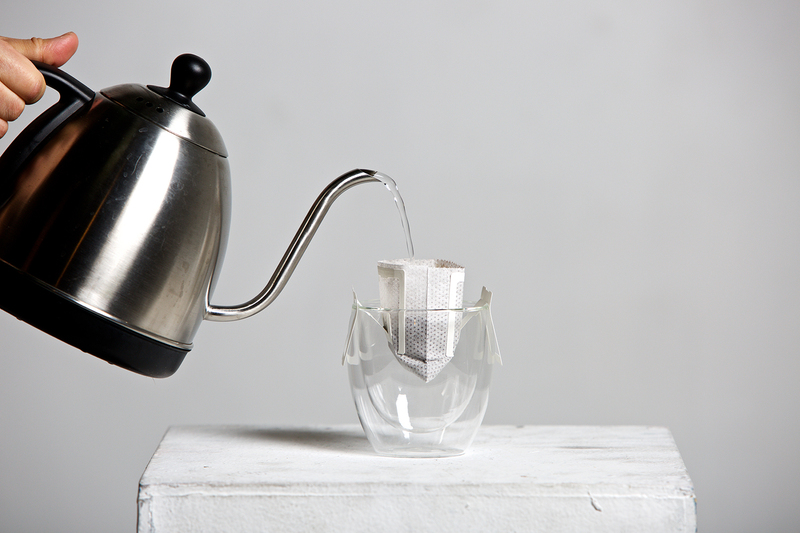 Blooming ensures a strong, thorough brew. Slowly pour in the remaining 3-5 oz of hot water, depending on your taste. For a traditional Vietnamese coffee, add only 2-3 oz more of water. For a larger Americano, add 5 or more oz of water. Once all the water has trickled through, remove the filter. Add as much or as much sweetened condensed milk as you like. Our best seller comes with the milk as well, or you can buy it separately here.